Mid-Ulster Sinn Féin MLA Ian Milne has confirmed he is to vacate his Assembly seat in order to seek re-election to local government. 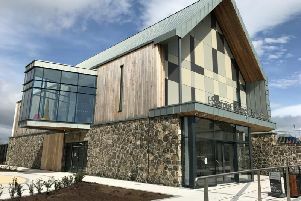 He was commenting after being selected as a candidate to contest next May’s elections to Mid-Ulster Council in the Moyola district electoral area. He will be joined on the Sinn Féin ticket for Moyola by sitting Councillor Catherine Elatter and Donal McPeake. “I am honoured to put my name forward to stand for Sinn Féin in the upcoming Council election for the Moyola district electoral area,” he said.